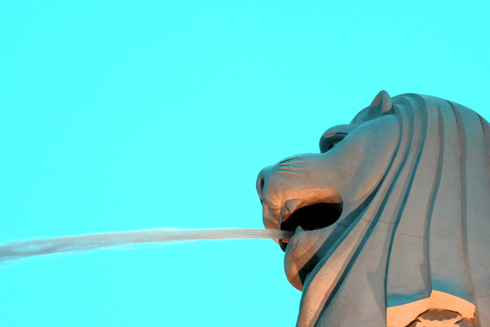 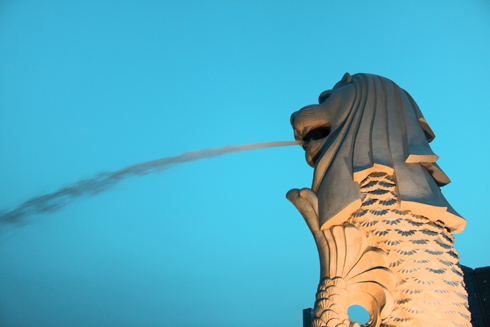 The merlion is a national symbol in Singapore. 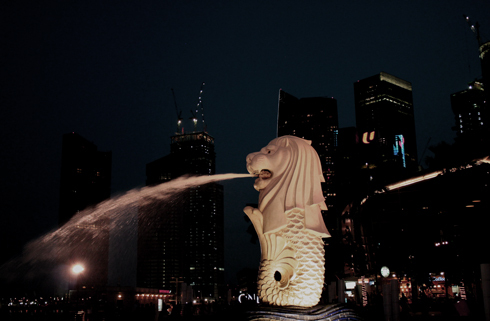 It represents two halves of the city's origin as a fishing village and Singapore's original name, Singapura, which means lion city. 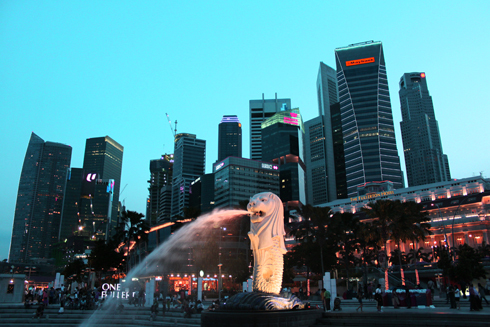 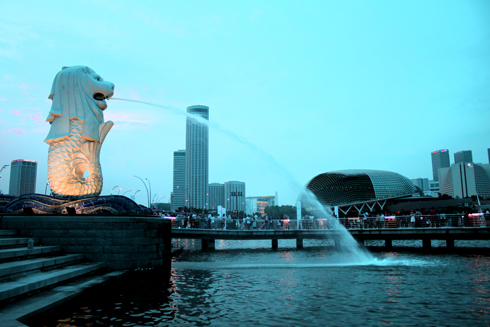 The most famous of Singapore's merlion statues is this one in Marina Bay next to the financial district. 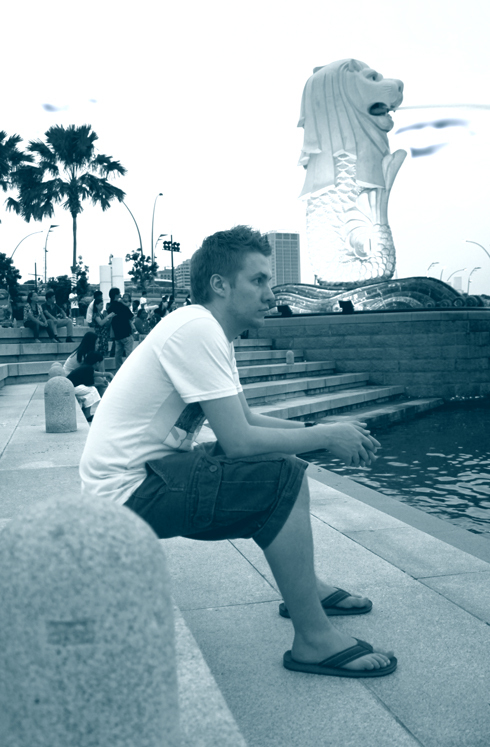 When we were in Singapore in 2010 one of the first things we did after we landed was go to the Red Dot Design Museum. 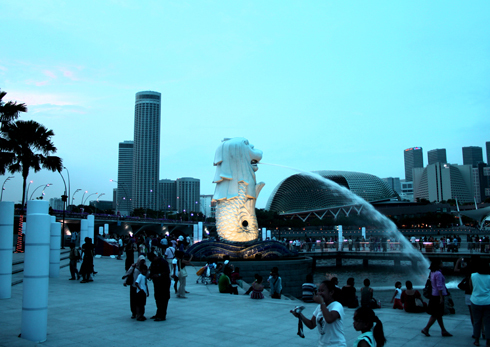 From there we walked around downtown until we found this famous landmark. 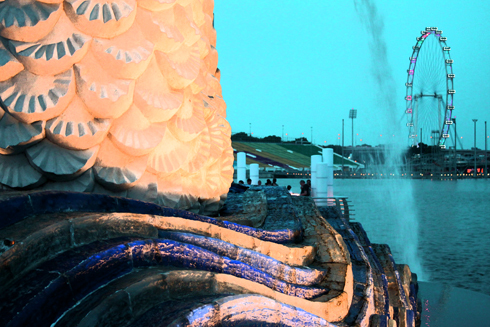 These are a few of the pictures I shot as we walked around the merlion and spent the evening hanging out down there.